In recent years, I have been accused of being a “talented teacher”, of doing things other teachers were not doing and, therefore, being a bit of a problem for my colleagues and administrators. I don’t really care about any of that now and am not here to complain. However, I do worry about the trend that this seems to be symptomatic of: the dehumanization of teaching. There seems to be a movement towards such efficient planning, unit creation, standardized practices and worrying what parents will say if teaching is done differently from one classroom to the next. There is also an emerging misunderstanding of collaboration as teachers and leaders seem to be increasingly under the impression that it means “everybody doing the same thing”. This is quite terrifying. To teach is to be human and to be human is to be unique, is it not? Has all that changed while we weren’t looking? 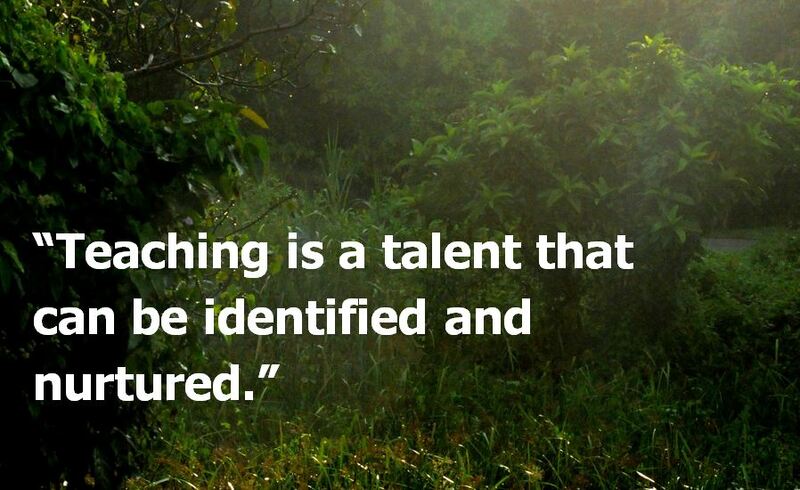 Talent exists in all walks of life, so it must naturally exist in teaching too. There are some amazingly talented teachers, some pretty talented teachers, some quite talented teachers, some teachers who aren’t too bad and… yes, some who shouldn’t be teaching. Why are we becoming afraid of these truths? A faculty of teachers is basically a class of students and should be treated pretty much the same way by school leadership – see my posting about Kevin Bartlett’s “Cauliflower Principle” for more on this. Teachers should be acknowledged as individuals, differentiated for, encouraged, supported, guided and basically affrorded everything we believe about what is good for students. There is no perfect teacher – most of us excel in certain areas and really struggle in others. Many of us lead the way in some areas and need guidance and support in others. Teachers and teaching are human, but only for as long as we fight to keep it that way. “This is quite terrifying. Everybody doing the same thing”. I agree totally Sam! Learning needs to be adapted to the interests and needs of our students. Yes, we need to know our students and our curriculum for true learning and engagement to take place. (This is the challenging part). Looking forward to Sam and Chad’s workshop at Mount Scopus College next week – will be an innovating and exciting start to Semester 2.